Anna Bell is a Latent Fingerprint Examiner in the Scientific Investigation Division of the San Bernardino County Sheriff’s Department. She has been involved with Peer Support for nearly 11 years and have served with peer support associations as a committee member and board member over the past 5 years. She is currently the vice president of the Public Safety Peer Support Association. She is the Department Peer Support Team Coordinator, and is a board member of the Sheriff’s Employee Assistance Team (SEAT). Anna earned a degree in Administrative Justice and after joining the San Bernardino County Sheriff’s Department in 2004, became involved with our Peer Support Team. Prior to her career with the Sheriff’s Department, she worked in the Behavioral Health field and Pediatric care. She enjoys spending time with her family, and has been married 24 years to her husband Frank. They have 3 daughters, ages 30, 24 and 23, and 2 grandsons, ages 2 and 4. Her hobbies include scuba diving, hiking and travel. 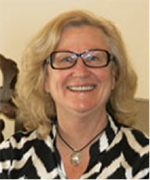 Dr. Bohl-Penrod is the Director of The Counseling Team International, which provides counseling, critical incident stress management, peer support training and consultations to more than 80 public safety agencies throughout the nation. She has trained more than 10,000 public safety peer supporters, and guides agencies on how to develop peer support and wellness programs. She has been a guest speaker on subjects related to peer support and wellness for law enforcement and their families for the California’s Peace Officer Standards and Training (POST), California Peace Officers Association (CPOA), Federal Law Enforcement Training Center (FLETC), Federal Bureau Investigation (FBI) Academy, The United Nations, Federal Air Marshal Service (FAMS) and Bureau of Indian Affairs (BIA). She is also a trainer for the California State Long Beach POST Police Management Class and International Critical Incident Stress Foundation (ICISF). Nancy has also been a guest speaker for the California Fire Training Offices (OSFM), California Fire Chiefs Association (CFCA), California State Sheriff’s Association (CSSA), California Police Chiefs Association (CPCA) and, California Hostage Negotiators (CAHN). She is a past president of the Police Psychological Services Section of the International Association of Chiefs of Police, one of the founders of the Public Safety Peer Support Association and one of the authors of Public Safety Peer Support/Supervisor Coach APP found on Google and iTunes. Erin Brisben received her B.S. in Criminal Justice from the University of Nebraska in 1988 and her M.A. in Criminal Justice from Rutgers, the State University of New Jersey, in 1991. She was hired by the Clackamas County Sheriff’s Office, located in Oregon City, OR, in 1995. She worked patrol for over five years, during which time she was a field training officer and defensive tactics instructor. In 2000 she was promoted to detective, mostly working child abuse cases until 2009. She joined the peer support team in 2001. In 2009 she was promoted to sergeant and became the leader of the peer support team. She turned the team into a county-wide inner-agency team, ensuring at least one member of the team worked for each of the other 8 agencies within the county. In 2012 she founded the bi-annual Northwest Peer Support Conference. Dr. Gilmartin is a behavioral sciences and management consultant specializing in the law enforcement and public safety areas. He formerly spent twenty years in law enforcement in Tucson, Arizona. During his tenure, he supervised the Behavioral Sciences Unit and the Hostage Negotiations Team. He is a former recipient of the IACP-Parade Magazine National Police Officer Service Award for contributions during hostage negotiations. He presently maintains a consulting relationship with law enforcement agencies nationally in the U.S. and in Canada. He holds adjunct faculty positions with The University of Massachusetts Police Leadership Institute, and The Law Enforcement Management Institute of Texas at Sam Houston State University. 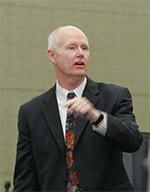 He is a guest instructor at the FBI Academy in Quantico, Virginia and a faculty member of the FBI Law Enforcement Executive Development Institute (LEEDS, EDI and the National Executive Development Institute). He is retained by several Federal law enforcement agency critical incident response teams. He is a charter member of the IACP: Psychological Services Section and former vice-president of the Society of Police and Criminal Psychology. He holds a doctoral degree in clinical psychology from the University of Arizona. In addition to being the author of the book Emotional Survival for Law Enforcement, he is the author of numerous articles published by the Dept. of Justice, the IACP, and the FBI. He is a veteran of the U.S. Marine Corps and resides in Portland, Oregon and Tucson, Arizona. 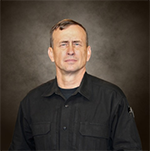 Lt. Col. Dave Grossman was a West Point psychology professor, Professor of Military Science, and an Army Ranger who is the author of On Combat, Stop Teaching Our Kids to Kill and On Killing. Col. Grossman’s research was cited by the President of the United States in a national address, and he has testified before the U.S. Senate, the U.S. Congress, and numerous state legislatures. He was involved in counseling, recovery or court cases in the aftermath of the Jonesboro, Paducah, Springfield, and Littleton school massacres. John is a married Christian and a Marine Veteran. He has compiled vast life experience in over 23 years of being a full time peace officer. For 15 years of that time John has been a peer counselor assisting officers after critical incidents and officer involved shootings. Upon discovering this passion, John was inspired; returning to school obtaining his B.S. in Psychology-Crisis Counseling and his M.A. in Counseling/ Life Coaching from Liberty University. John is a member of and holds a Board Certification (BCACLC) through AACC/IBCC as an Advanced Christian Life Coach and is a member of the Christian Care Network (CCN). He is a certified Advanced Peer Supporter, and certified in Critical Incident Stress Debriefing (CISD). He is a life-time member of PSI-CHI, an international honor society for Psychology, a member of the Christian Association of Psychological Studies (CAPS), a standing committee member for the Public Safety Peer Support Association and a member of the American Legion. He also teaches or has taught Peer Support Workshops and at Peer Support Conferences on such topics as Wellness after Officer Involved Shootings and Critical Incidents and Effective Communications for Peer Supporters. Brendan McDonough grew up in Prescott, AZ. Hiking in the mountains of the Prescott National Forest he found his true calling – being a “hotshot,” fighting fires across the American West. In two years of service, McDonough fought some of the most intense and devastating fires our country has ever seen. McDonough’s world changed on June 30th, 2013, when nineteen of his brothers – the men who’d taught him about integrity, about life – were killed in the Yarnell Hill Fire. The experience turned him into an advocate for firefighter safety and a speaker on issues of survival, recovery and hope. He has found his passion for the outdoors again by fishing the lakes and bow hunting in the mountains. He is the author of the recently published memoir My Lost Brothers. McDonough is also collaborating on a major motion picture film with Ken Nolan, the screenwriter for “Black Hawk Down,” and Lorenzo Di Bonaventura, the producer of the “Transformers” movie franchise. Dr. Middleton has specialized in law enforcement mental health since 1998. He joined ICE in 2012 with the task of establishing a Peer Support Program. The ICE program now has 350 members who log over 1,000 hours of assistance each month. 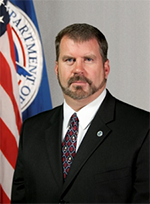 Ken was the critical incident response program manager for the US Border Patrol and Clinical Director of traumatic incident response programs at the Federal Air Marshal Service. He established or directed Peer Support Programs at both agencies. He has written policy, advised senior executives, and represented agencies on task forces. Ken has conducted over 75 peer support basic training classes, and has responded, or directed the response, to over 250 critical incidents including 28 line of duty deaths and events such as 9/11 and Katrina. Dr. Middleton delivers training on tactical mindset, vicarious trauma, suicide prevention, and self-care. He is licensed to practice individual, conjoint and family psychotherapy. Karen Moss started her career in law enforcement as a reserve police officer with the Portland (OR) Police Bureau in 1997. She was hired full time as a Deputy Sheriff with the Clackamas County Sheriff’s Office in 1999. She has spent the majority of her time as a patrol deputy and has also served in the Street Crimes/Drug Unit, Defensive Tactics Instructor, Cadet Advisor, project co-founder and manager for the Neighborhood Livability Project, Peer Support Team Leader, and Alcohol and Drug Recovery Coordinator. Moss joined the peer support team in 2007 after being involved in an officer involved shooting. She has coordinated and run traumatic incident debriefs, participated as a peer at the Oregon West Coast Post Trauma Retreat (WCPR), and presented at the Northwest Peer Support Conference. 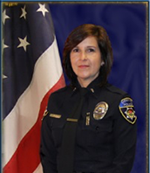 Leslie Murray is currently a Lieutenant with the Downey Police Department in Southern California. She has been with the Department for over 25 years. She has worked Patrol, as a Sexual Assault and Child Abuse Detective and as the Department’s Training Coordinator. In 2000, she promoted to sergeant and supervised the Patrol and Detective Divisions. In 2008, she promoted to Lieutenant. She has worked as a Watch Commander with oversight of the Patrol Division and as the Administrative/Professional Standards Lieutenant, overseeing recruitment, hiring, training and internal affairs. She has supervised Jail operations, the FTO Program, the Range and Use of Force Programs and was instrumental in developing the Peer Support Program for her agency, which she continues to oversee. 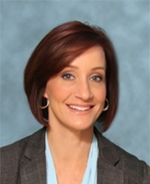 Leslie has a Bachelor’s degree in Sociology and a Master’s Degree in Public Administration from Cal State Long Beach. Mynda Ohs is a Licensed Mental Health Professional (MFT 50291) for The Counseling Team International. She currently works at TCTI’s Headquarters office in San Bernardino, CA providing 24-hour on-call Critical Incident Debriefings. She has worked several critical incidents involving police and fire departments, including the recent fatality debriefs of Tanker 81 in Yosemite, Twisp Fire, Six Rivers (off-duty), Modoc, and the Occupation of the Malheur Wildlife Refuge. While working these incidents, she integrated into Interagency Incident Management Teams to provide mental health services. She played a major debriefing role of first responders to the San Bernardino Shootings. Prior to joining TCTI, she worked in EMS as an EMT for Life Care Ambulance and was an ER Tech at Community Hospital of San Bernardino. Not only does she have over 14 years of experience working in the field of crisis intervention and suicide prevention, but has been married to a Battalion Chief for 20 years. This has given her a unique perspective of living within the first responder community and family, while adding to her education and professional experiences. Originally from Arizona, Chuck Price has lived in California since 1983. He received his BS in Business Management from Arizona State University and his Masters from Bethel Seminary. He is blessed to be married to Helen for 27 years. 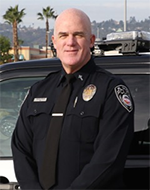 He began his chaplaincy with the San Diego Police Department in 2001 and joined the El Cajon Police Department in 2008. His passion is to care for law enforcement professionals and has done so by logging over 7000 hours with over 425 different officers on nearly 900 ride-alongs. He is an International Conference of Police Chaplains Senior Chaplain and coordinates daily operations and chaplain deployments for both agencies. He actively serves patrol divisions, Gang Suppression Team, Homicide, Traffic, Motors, Child Abuse, Internal Affairs, Missing Persons, Lab, Cold Case, Canine and is a member of the Negotiations Team for both agencies. 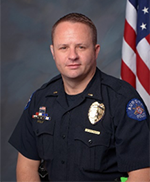 Stephen Redfearn is a Lieutenant with the Aurora, Colorado Police Department, currently assigned to the District 1 Patrol Division as a Sector Commander. Stephen has been with the Aurora Police Department for 16 years and as a Sergeant supervised the Vice & Narcotics Unit, the East Metro Auto Theft Team, and a field training patrol team. While supervising an anti-crime team Stephen was a first responder to the Century 16 Theatre shooting in July of 2012 where he took an active role in overseeing the triage and subsequent transport of the victims as well as detention of the suspect. While holding the rank of Officer, Stephen was assigned as a Field Training Officer (FTO), the Pattern Crimes Unit, the Police Area Representative (PAR) unit, and two separate task force positions. Prior to joining the Aurora Police Department, Stephen was a 911 Dispatcher and a Sheriff’s Cadet with the Jefferson County Sheriff’s Office in Colorado. Stephen worked in dispatch during the Columbine High School mass shooting in 1999. 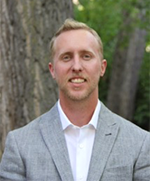 Stephen holds a Bachelor of Science degree in Criminal Justice and a Master of Science degree in Organizational Leadership from the Colorado State University. 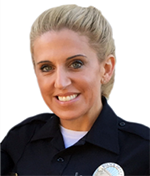 Sarah Shirvany has been a police officer for 16 years, and has been with Anaheim Police Department for the last ten years. She has experience working as a background investigations, field training officer, community policing communications officer and forensics technician. For the last 3 years she has been closely involved with the Anaheim Police Department Peer Support Team. She has been trained in crisis intervention, depression and suicide, grief and mourning, line of duty deaths, critical incidence stress management, substance abuse, and eye movement desensitization and reprocessing. She suffered a severe spine injury which required 3 complex surgeries. Her experience as a peer supporter officer and a patient have given her unique insight into the broad spectrum of problems and challenges first responders experience after an injury. 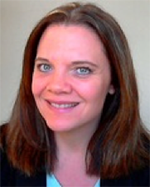 Dr. Silveria consults and teaches workshops for continuing education on Post-Traumatic Stress Disorder (PTSD), child abuse and group psychotherapy. She also provides workshops for corporate clients and EAPs on various topics such as stress management, anger management and trauma preparedness. She teaches at Cerritos College in their Foster and Kinship Program, is an Adjunct Professor at National University, and teaches Law Enforcement Crisis Intervention Training (CIT). She is part of TCTI’s CISM team and has responded to the San Bernardino terrorist attacks and the Big Bear Manhunt. Dr. Silveria serves clients for TCTI in the Costa Mesa office. 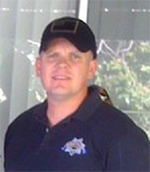 Paul Trevino has 10 years of experience with the California Department of Corrections. He spent his entire career at the California Rehabilitation Center in Norco, California. He has been a part of our Peer Support team for 8 years. Paul joined the team after his mother passed. He was in a dark and lonely place, thinking of doing the unthinkable. Peer support has enabled him to learn how to process and cope with loss and tragedy; ultimately getting through the hard times. In turn, he has been able to help his partners, family, and friends do the same. Most first responders won’t admit they need help, but as Paul can tell you from first-hand experience, sometimes some do. Benjamin Vernon is a Firefighter/Paramedic for the San Diego Fire Rescue Department. He has served the Citizens of San Diego for over a decade. During his career, he has become a member of the Hazardous Materials Team, the Technical Rescue Team and is an outstanding member of California Task Force 8 Urban Search and Rescue Team. On this team, he holds four Specialist positions: Rescue Specialist, Hazmat Specialist, Technical Search Specialist and Communications Specialist. He currently lives with his fiancé Lisa in the City of Temecula. 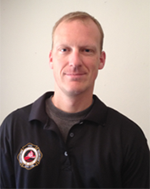 In his downtime, Ben teaches EMT at Miramar Community College and in the San Diego Fire Rescue Fire Academy. He also enjoys working on his ASE Certifications in Automotive Repair. He is also an avid Scuba Diver and Rock Climber. Benjamin is currently assigned to Station 4, Heavy Rescue, downtown San Diego. 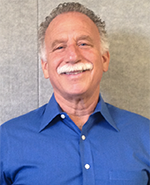 Dr. Garen Weitman is a Licensed Psychologist in the Portland, Oregon area. 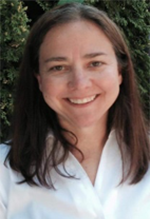 Prior to obtaining her Doctorate in Clinical Psychology, Dr. Weitman was a Reserve Police Officer and was also employed by the Clackamas County Sheriff’s Office for 9 years where she worked in an administrative role and also as a Community Service Officer serving the Patrol and Detective Divisions. She now provides psychotherapy, consultation, Critical Incident Stress Management (CISM) services and peer support training for numerous police agencies in the Portland, Oregon Metropolitan area. She also provides psychotherapy to fire service, 911 dispatchers, and corrections personnel.